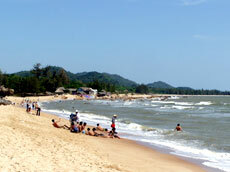 Ba Ria-Vung Tau Province is located in the Southern Vietnam, to the northeast of the Mekong Delta. 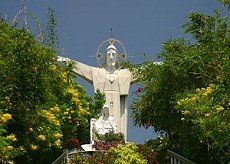 It shares the border with Dong Nai Province to the north and Binh Thuan Province to the east, Ho Chi Minh City to the west and East Sea to the south - east. There are two distinct seasons: the dry (from November to April) and the rain (from May to December). The annual average temperature is 27ºC. 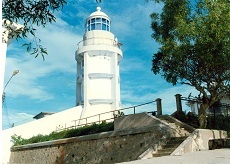 In Vung Tau City, there are Thuy Van, Chi Linh, Back, Front, and Dau beaches; Long Dien District has Long Hai Beach; Xuyen Moc District has Ho Tram, Ho Coc beaches. In Con Dao Island, tourists are able to swim in Dam Trau, Hon Cau, and Hon Tre beaches... then they can climb in Thanh Gia Mountain, Nho Mountain. 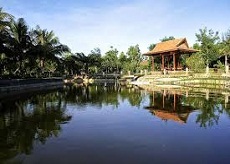 If tourists would like to improve their health, they could go to Binh Chau Hot Spring, which its temperature comes up to 80ºC, then visit Binh Chau - Phuoc Buu Natural Preservation Zone. Located in the 90km southern part of Vung Tau, Con Dao Island has a dense forest, which is Con Dao National Park with rich flora and fauna. The sea in this area is the home of various valuable marine species. Especially, tourists have a chance of watching the turtle laying the eggs. It also used to host a convict prison during French colonial era, and later, during the American War. Besides these, tourists can participate in some traditional festivals as Dinh Co Festival, Nghinh Ong Festival (Welcoming the Lord Whale Festival), play golf or watch dog racing in Lam Son stadium in Vung Tau City every Saturday.